> Nonfiction > European Identity: The Newly Born European Demos? The book examines identity and its nature through analyzing different theories which help to define in which theories European identity can be ascribed to. The chapter also offers scholars' reflection over European identity and makes a definition of European identity. In the second chapter, it explains the role of European identity on the constitutional ratification (2004) as well as demonstrates the contribution of the Constitutional Treaty (2004) on the consolidation of European identity. The relationship between the Constitution, representing a higher stage of EU integration, and European identity is mutual. They both affect the further evolution of each other. The chapter also draws conclusions over the European constitution and its future. 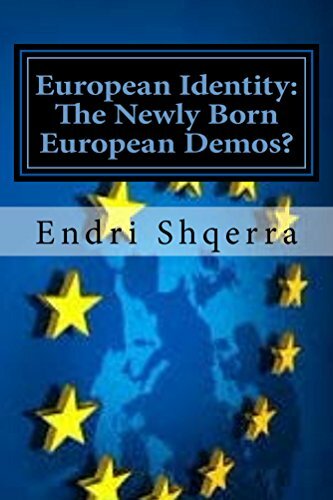 The third chapter confronts European identity with national identities of the EU’s member states and draws conclusions about whether European identity will supersede national identities of Europe, as well as demonstrates the erosion of national identities in Europe; conclusions are supported by statistical data published in several Eurobarometers. The data published in the form of a table in this chapter trace the consolidation degree of European identity from 1992 to 2008 and confront it with national identities of the EU's member states. The last chapter argues about the existence of a European civic demos (similar to that of the USA) expressed in the form of European Identity. The book sheds light on the evolution and the role of European identity.